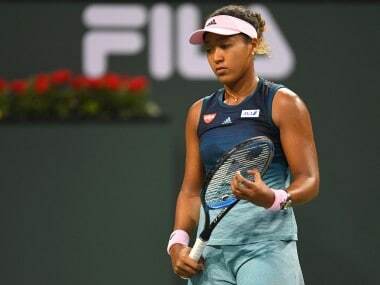 Mumbai: An erratic Rutuja Bhosale, blowing hot and cold, went down in straight sets to higher-ranked Israeli opponent and qualifier Deniz Khazaniuk in the singles first round of the $125,000 Mumbai Open in Mumbai on Tuesday as the Indian challenge dwindled in the WTA event. 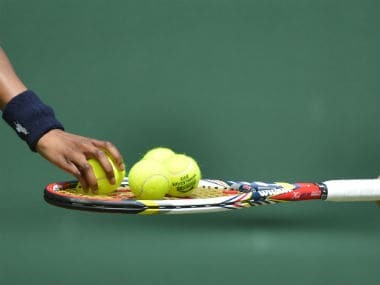 The India number 5, who has returned after playing collegiate tennis in USA, showed glimpses of what she is capable of, especially on her opponent's serve, but committed far too many unforced errors on her own serve to go down 4-6 3-6 in an hour and 15 minutes at the Cricket Club of India centre court. Bhosale, ranked 577 which is more than 200 rungs below her rival, rattled Deniz with her deep, attacking ground strokes with her forehand and some superb approach shots to the net followed by some effective volleying. 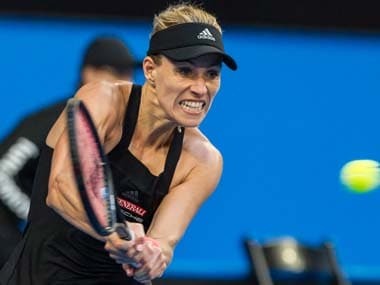 But the Indian competitor, who got a wild card into the main draw, was unable to hold her own serve for the major part of the match, more so due to her own inconsistent play in trying to go for the lines. The exit of Bhosale, after the elimination of two other Indian wild cards Karman Kaur Thandi and Zeel Desai on Monday, has left only India No 1 Ankita Raina in the singles draw. Ankita takes the court on Wednesday in her first round clash against Veronika Kudermetova of Russia. The Indian challenge in the doubles event too dwindled with the elimination of Prarthana Thombare and her partner Hiroko Kuwata of Japan. They went down in straight sets 2-6 3-6 in the first round to the Israeli-Australian combine of Julia Glushko and Priscilla Hon. In the first set both Bhosale and her Israeli opponent, who is to meet France's Amandine Hesse in the second round, found it difficult to hold serve after 1-1. Deniz took Bhosale's mistakes to break serve again for a 4-3 lead and then held serve to hold a commanding 5-3 lead. Bhosale faced three set-points on her own serve in the next game, fighting back to deuce by saving all three set-points and holding the serve. 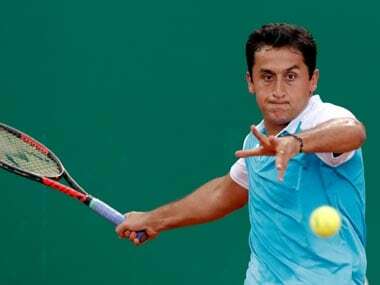 But Deniz was not to be denied in the next service game and won it at 30 when Bhosale's backhand sailed wide. The set lasted 41 minutes. Maharashtra-born, Pune-based Bhosale was broken in the opening game and third game of the second set and was quickly down 0-4 although she had a chance to break back in game two. Bhosale finally held serve but her rival then served for the match at 5-2 when the Indian broke her with some superb attacking forehand shots, the break coming with an excellent cross-court winner. It raised false hopes of a fight-back from Bhosale as she immediately went back to her error-prone ways by serving a double-fault and then committed two ground stroke errors to trail 15-40, with Deniz finishing the match with a backhand down-the-line winner. "I had to hit back a lot of balls as she had come into the game with a defensive mindset, as that is how she normally plays. She put a lot of balls back and hence they kept getting bigger and harder which became difficult for me as the game went on," said Bhosale after her loss. "She further kept attacking my backhand as she knew my forehand was my strong suit, so in order to hit those forehands, I made many unforced errors. Hence, one thing that I've learnt from this tournament is that I have to improve on my strength as all the other girls here are much fitter," she added. Earlier, Amandine Hesse of France showed good fighting qualities as she recovered to turn the tables on fourth-seeded Arina Rodionova of Australia for a 7-6(2), 6-3 victory in an hour and 45 minutes. Singles: Deniz Khazaniuk (ISR) bt Rutuja Bhosale (IND) 6-4, 6-3; 2-Ana Bogdan (ROU) bt Victoria Rodrigues (MEX) 6-1, 6-1; Amandine Hesse (FRA) bt Arina Rodionova (AUS) 7-6(2), 6-3; Jia-Jing Lu (CHN) bt Dalma Galfi (HUN) 6-2, 6-2. Doubles: Julia Glushko (ISR)/Priscilla Hon (AUS) bt Hiroko Kuwata (JPN)/Prarthana Thombare (IND) 6-2, 6-3; 2-Dalila Jakupovic (SLO)/Irina Khromacheva (RUS) bt Ksenia Palkina (KGZ)/Ling Zhang (HKG) 6-2, 6-0; Junri Namigata (JPN)/Peangtarn Plipuech (THA) bt Valentyna Ivakhnenko (RUS)/Sabina Sharipova (UZB) 6-1 6-4.